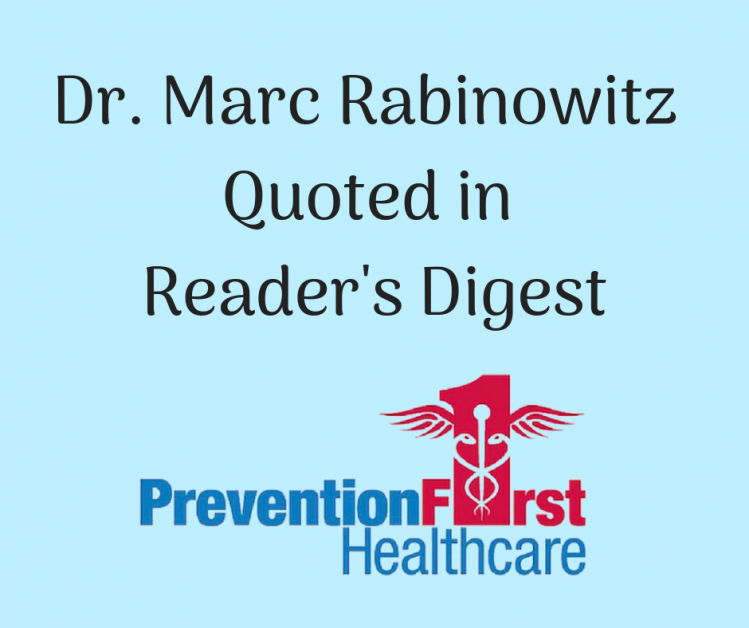 Dr. Marc Rabinowitz was quoted in this recent Reader’s Digest Article about 14 Body Odors you should never ignore. by Lisa Marie Conklin. We’ve outlined parts of the article below. To read it in it’s entirety, go to Readersdigest.com. Body odor, from head to toes, can alert doctors to potential health issues—even cancer. Find out what those distinctive smells may signal. Breath that smells musty or similar to garlic and rotten eggs is annoying on its own; it’s very concerning if you haven’t actually been eating garlic or eggs. Marc S. Rabinowitz, MD, of Prevention First Healthcare tells Reader’s Digest that if the liver starts failing at its job of detoxifying the blood—this can happen with cirrhosis, for example—your breath can go sour. It’s important to see your doctor soon: A study in the Journal of Chromatography B reveals that cirrhosis of the liver can be virtually symptom-free; this may be your best and earliest warning sign. Check out these 8 tips for getting rid of garlic breath. “A person with kidney failure may have breath that smells like ammonia or urine,” says Dr. Rabinowitz. That’s because your kidneys are failing to filter waste products from your body. Kidney failure comes on slowly: If you also have muscle cramps or swelling in your feet and ankles, or if your bathroom habits have changed, get checked out in a hurry. Check out these 12 diseases doctors can detect by smell.